THE TOYOTA YARIS HAS ALWAYS BEEN A STRONG COMPETITOR IN THE SMALL FAMILY MARKET, MAJORING IN BULLETPROOF RELIABILITY. 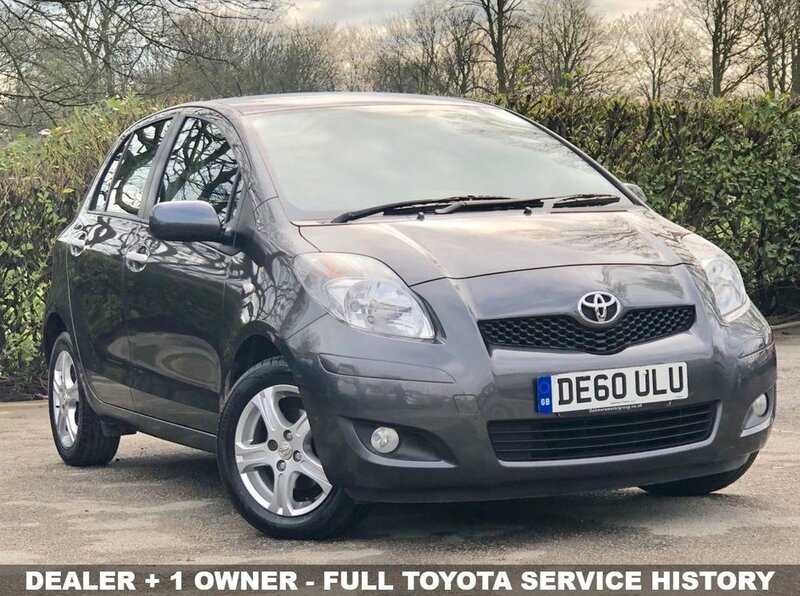 A SPACIOUS WELL BUILT CABIN AND A STRONG ECONOMICAL ENGINE THE YARIS HAS SOME OF THE LOWEST RUNNING COSTS IN ITS CLASS.THIS LOW MILEAGE 2 OWNER (DEALER + 1) VEHICLE WE HAVE FOR SALE IS IN SUPERB CONDITION INSIDE AND OUT AND HAS BEEN WELL MAINTAINED WITH FULL TOYOTA SERVICE HISTORY CONSISTING OF 8 SERVICE STAMPS THE LAST DONE AT 42496 MILES ON THE 25/10/2018. THIS TR COMES WITH A NUMBER OF FEATURES SUCH AS AIR CONDITIONING, REMOTE CENTRAL LOCKING, RADIO/CD WITH AUXILIARY FOR MP3 AND IS ONE OF THE SAFEST CARS ON THE ROAD AWARDED TOP MARKS BY EURO NCAP CRASH TEST RATING. THE 1 LITRE ENGINE UNDER THE BONNET PERFORMS GREAT AND CAPABLE OF ACHIEVING 57.6 MPG. THE LOW INSURANCE GROUPING OF THIS CAR MAKES IT AN IDEAL FIRST CAR. THIS CAR WILL COME WITH A FULL MOT + SERVICE + WARRANTY + 1 YEAR AA ROADSIDE ASSISTANCE ALL INCLUDED IN THE SCREEN PRICE.